It is almost impossible to know how leopards are faring in South Africa. They are secretive animals that are mainly nocturnal, solitary, and range over huge areas. Counting them requires intensive research using expensive technology such camera traps, which can only be deployed over small areas, far smaller than the areas in which hunting quotas are determined. Hunting them will speed up their extinction. By DON PINNOCK. 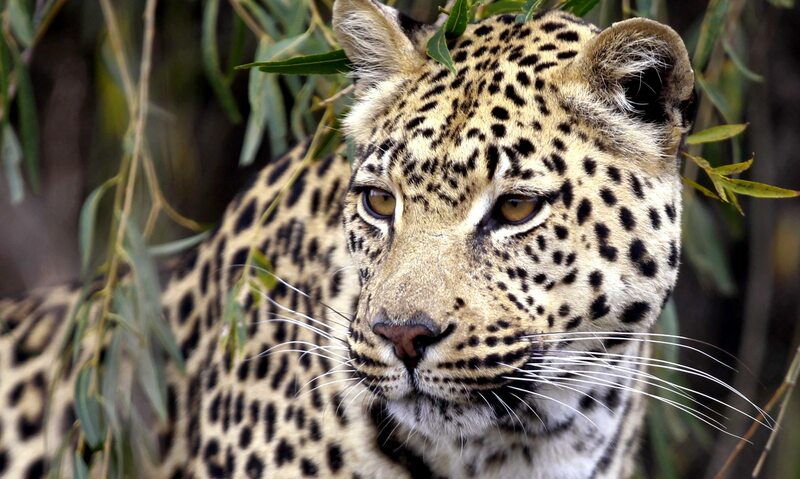 The Department of Environmental Affairs has set to zero all hunting permits for leopards in South Africa – which is, effectively, a total ban on hunting the cats. This follows an alert by its Scientific Authority that the number of leopards in the country was unknown, and that trophy hunting posed a high risk to the survival of the species. The DEA ban, sent to all provincial authorities, cancels all leopard export permits for 2016. Under the Convention on International Trade in Endangered Species of Wild Fauna and Flora (CITES), South Africa is permitted to allocate 150 leopard trophy export permits a year. Early warning of possible permit curtailment appeared in the Government Gazette late last year indicating that if guidelines were not adhered to, provincial quotas would be set to zero. At the time the DEA issued what it described, rather cryptically, as a “negative non-detrimental finding”, meaning that hunting was likely to have a damaging effect on the species. It listed threats to leopards as excessive legal and illegal shooting of “damage-causing animals,” poorly managed trophy hunting, illegal trade in leopard skins for cultural and religious attire and generally poor monitoring of hunts and permit allocation. Only between 5% and 15% of leopard habitat was strictly protected. Commenting on the Gazette notice at the time, Guy Balme of the environmental NGO Panthera said: “We just don’t know how leopards are faring in South Africa. They’re secretive, mainly nocturnal, solitary and range over huge areas. Counting them requires intensive research using expensive technology such camera traps, which can only be deployed over small areas, far smaller than the areas in which hunting quotas are determined. The trophy ban is in place throughout this year. According to the DEA statement, the Scientific Authority will then review the situation. It will also develop norms and standards for the management and monitoring of leopard hunting throughout the country. Kelly Marnewick, the Environmental Wildlife Trust’s carnivore conservation manager, supported the ban. “It is important to ensure that any wildlife trade we do is sustainable,” she said. “If we cannot do that, it’s highly problematical. We need a trade ban until we can get to that. Photo: A leopard looks on in its habitat at the Lionsrock Big Cat Sanctuary near Bethlehem April 26, 2010. REUTERS/Peter Andrews.